My autobiography, A Woman’s Work: Writing Baseball History with Harold Seymour, was published in 2004 by McFarland Publishing, the foremost publisher of serious baseball books. The book explains how I worked with Dr. Harold Seymour to produce the first scholarly histories of baseball ever written. The publisher begins a synopsis of the book by saying that “From 1949 until 1990, Dorothy Jane Mills quietly contributed her research and writing to the first baseball histories ever written by a historian.” It is that collaboration with Dr. Seymour that made me into a historian. The three-volume baseball series published by Oxford University Press over the years 1960-1990 overwhelmed readers by the amount of research it demonstrates and the surprises it displayed. McFarland describes our work together as “presiding over mountains of records on the game” as we worked to prepare it all for publication. The publisher also points out that despite working right along with Dr. Seymour every step of the way, I received no official credit. My name never appeared on the title page of those books as co-author. Readers believed that he had done this monumental amount of research and writing completely on his own. 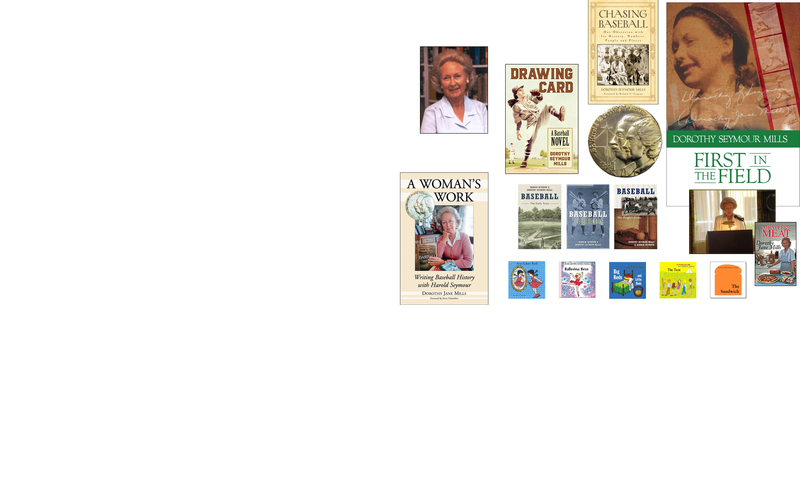 A Woman’s Work reveals details of our partnership that most readers of the Oxford series on baseball never suspected. It also explains how my work as a teacher, editor, novelist, children’s author, and public speaker fit into my baseball collaboration. It also includes many photos from my personal collection. Perhaps the most intriguing section of the book is the one I didn’t write. In a Foreword to the book, Steve Gietschier of The Sporting News shows readers his surprise and dismay over learning the way my work had been kept from the knowledge of other scholars. To purchase a copy of the book from McFarland, click on McFarlandpub.com. If you prefer an autographed copy, contact me at dorothyjanemills1@gmail.com.